Tracey was born in Regina, lived in Penticton for a few wonderful years and then grew up on the west coast. Her family returned to Penticton each summer for holidays. A move to Edmonton in 1999 while raising her family opened the door to the world of painting. 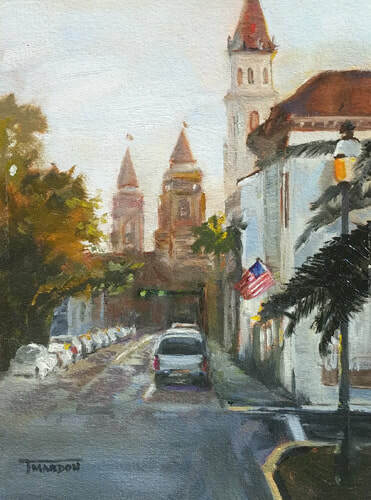 In 2003 Tracey was introduced to oil painting and what began as an interest, quickly became a passion. 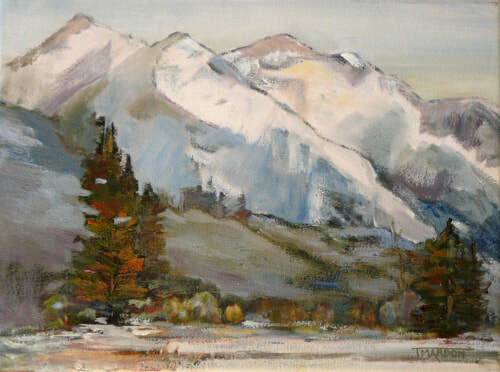 In 2007 she joined the Alberta Oil Painters Group and enjoyed the camaraderie of this talented group of artists. The group met in their studios or enjoyed Plein Air painting in the river valley with the wonderful aspen groves and the big beautiful skies. In 2015 Tracey moved to Kelowna in the Okanagan Valley with her husband. In a way it’s a return to some of her best childhood memories. Tracey’s love for colour was first sparked by the crayons in her Crayola box as a young child. Blue-green and magenta are still two of her favorites. During her study of Fashion Design at college, the use of colour continued to capture her interest and it remains an influence in her work today. She has taken workshops in Canada and the U.S. with national and international artists. Her travels are now planned around opportunities for painting or studying. Tracey is an Active Member with the Federation of Canadian Artists Okanagan, a member of the Alberta Oil Painters and a new member of the Kelowna Painters Studio Society. She enjoys painting from life, both figurative and landscape. She also loves to paint portraits, particularly of animals, and has been commissioned to do so by owners from B.C. to Ontario. Her work can be found at Spotlight Gallery, Ft. Saskatchewan and at Ritchcraft Gallery Framing in Kelowna.